British coins have a rich history. Since the Norman Conquest in 1066, England and its neighbours used the likes of Pounds, Shillings and Pennies as the predominant currency up until decimalisation in 1970/1971. 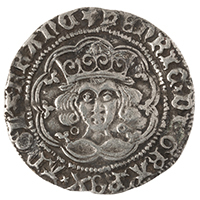 Many British coins have been produced over the past millennium, both in gold and silver, and knowing what each coin is worth can be difficult. Below you will find the various denominations and the coin value (face value) of each one, alongside their weights compared to other coins. Years: 1279 - 1553 and 1613 - 1956 (demonetised in 1960). Worth: Quarter of a Penny. Weight: 2.83g - a little less than a modern 5p coin. Years: Early 1100s - 1701 and 17 17 - 1967 ( demonetised in 1969). Weight: 5.67g - a little lighter than a modern 10p piece. hoarding and coin clipping (shaving silver off). great or even a full condition. 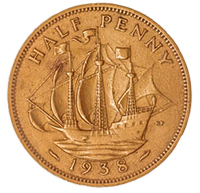 Worth: 2 Halfpennies or 4 Farthings. describe standard silver coins in the Roman period. Browse our selection of rare silver Penny coins. Years: 1834 - 1843, 1860, 1862, 1870 (Proof Only). Worth: 1 and a half pence. This small silver coin was a colonial issue, primarily for the West Indies and Ceylon, since renamed Sri Lanka. coin's value - 1 1/2 d - as well as the year of issue. Two monarchs featured on these coins - King William IV and later Queen Victoria. Years: 1351- 1856 (Special colonial edition 1888 - 1955). Worth: 2 Pennies or 8 Farthings. the Royal Mint until the mid 1800s. At BullionByPost we have a limited selection of Half Groats, available here. Worth: 3 Pennies / 12 Farthings / Quarter of a Shilling. Weight: 1.4g - 1.5g (silver), 6.8g (copper/brass). the coins had a value of 12 Farthings or a quarter of a Shilling. the Second World War, and then was replaced with nickel-brass. just ahead of Bristol and Oxford. up or quashed it to suit their economic needs, but the coins are still used as Maundy money to this day. Years: 1279, 1351- 1856 (Special colonial edition 1888 - 1955). Worth: 2 Half Groats / 4 pence / 16 Farthings. It takes no major thinking power to deduce that a Groat is worth two Half Groats. 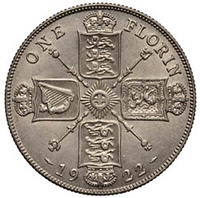 This four pence coin was very commonly used, and as such there were variations in England, Scotland and Ireland. Groats were never quite as pure as the official specifications stated them to be; partly because of the difficulty in ensuring consistency centuries ago, but also due to the rate of production leaving little time to be picky. To see our selection of Groats, click here. 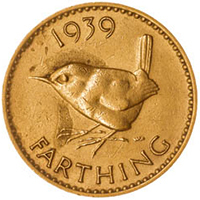 Worth: 24 Farthings / 12 Halfpennies / 6 pennies / Half a Shilling. and the Sixpence is half a Shilling - also known as a 'Tanner'. Maundy money. The coins were recommissioned from 2016 to be made from 92.5% silver once more. Worth: 12 pence or 3 Groats. currency. Popularly referred to as 'A Bob', the coin was worth 12 pence or 3 Groats. 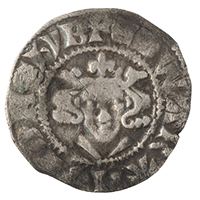 Shillings were originally called Testoons, and first produced during the reign of King Henry VII (1485 - 1509). The name later changed to Shilling in the 1600s, though the exact date is unknown. which was a near solid gold coin. This is somewhat ironic given that Shillings are actually a silver coin. 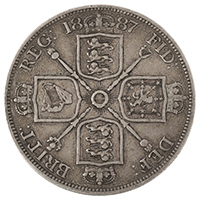 View our range of collectable Shilling coins. Worth: 5 Groats or 1 Shilling & 2 Groats. Nobles are one of the older coin varieties produced in England and the first to be mass produced. Full sized Nobles came first, but soon after followed Half and Quarter Nobles. 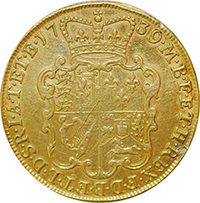 A quarter Noble had a value of 20 pence, which is either 5 Groats or a Shilling and 2 Groats. Click the link to see our rare Quarter Noble gold coins. Years: 1849 - 1967 (Collector's Edition in 1970). Worth: 6 Groats or 2 Shillings. and 1967 for circulation, and again producing a collector's edition in 1970 as a final hurrah. mention of god. Thus was born the 'Godless Florin', also dubbed 'Godless and Graceless'. other nations that had already been through the process of decimalisation. Take a look at our Florin page to see which coins we have in stock. .
Years: 1526 - 1551 (gold), 1551 - 1751, 1816 - 1970. Worth: 2 Shillings & Sixpence. 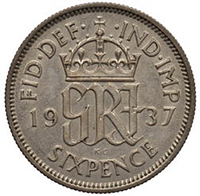 30 pence in the 18th Century got you a Half Crown, which could also be worked out as 2 Shillings and sixpence. The weights of these coins vary but they are approximately 15g - a little heavier than a modern £2 coin. we have Half Crown coins available featuring King James I, William of Orange and Mary II, and George II. 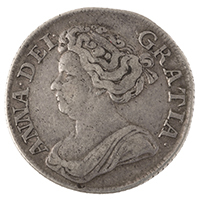 Browse our selection of Half Crown silver coins. Worth: 10 Groats or 3 Shillings & 1 Groat. but more likely it would be 10 Groats or 3 Shillings and a Groat. Worth: 12 Groats or 4 Shillings. 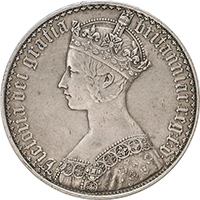 due to the fact the Double Florin silver coins were only produced between 1887 and 1890 - a four year window. Double Florins weigh roughly 22 grams and were made of 92.5% silver; a common purity for the Victorian Era. They had the same value as 4 Shillings or a fifth of a Pound (a Sovereign). due to the difficulty in telling the difference and the inevitable fact they will be short changed for their services. The Double Florin silver coin is an excellent piece to add to any coin collection. Worth: 5 Shillings / Quarter of a Pound. and was occasionally referred to as a 'Dollar'. 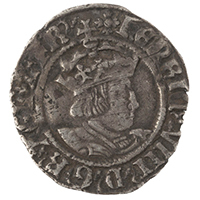 coins changed to silver in 1551 during the reign of Henry's son, Edward VI. Click here to view our collection of rare Crown gold and silver coins. Years: 1804 - 1811 (Dollar tokens), 1895 - 1935 (Trade Dollars). Worth: 5 Shillings (later 5 Shillings & 3 pence). Weight: Between 26.5 and 27g approximately. Reales coin. This coin is better known as a 'piece of 8' - as mentioned in the Pirates of the Caribbean films. and “Two kings’ heads are not worth a crown”. Dollars became for use in Hong Kong exclusively. 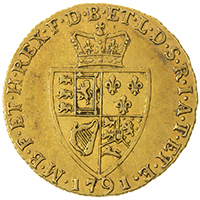 Years: Only minted in 1718 and 1762 respectively. Worth: Five Shillings & Threepence. 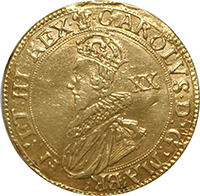 A very rare coin, the gold Quarter Guinea was only made twice, in two 1-year spells; 1718 and again in 1762. Browse our Quarter Guinea gold coins. Worth: 6 Shillings & 8 pence / 6 Shillings & 2 Groats / 1 Crown & 1 Quarter Noble. Weight: 9g roughly (coin consistency varied). between 1344 and 1346 during the reign of King Edward III. Worth: 6 Shillings & 8 pence; later 11 Shillings. Weight: 5g to 5.15g approximately. 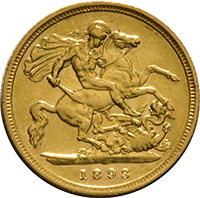 the private Pobjoy Mint produced a run of Gold Angel coins for the Isle of Man. View our rare gold Angel collectable coins. Years: 1797 - 1804, 1806, 1808 - 1811, 1813.
and Ireland, which was formalised at the turn of 1801.
the unification work between England and Scotland but also to regulate British currency more. 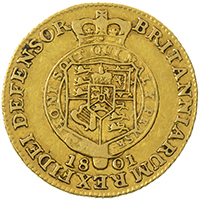 The coin had a value of 10 Shillings, though in line with the value rise of the Unite coin this rose to 11 Shillings briefly. At BullionByPost we have a selection of Half Unite gold coins available to buy. Worth: 10 Shillings / 2 Crowns / Half of a Pound. pre-decimalisation. 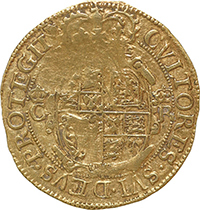 A Half Sovereign was effectively half a Pound, and as such had a value of 10 Shillings. of King Henry VIII, until 1604, and then recommissioned in 1817 with the major overhaul of British coinage. on the reverse, though some years instead featured a shield back design. At BullionByPost we have a broad range of old and new gold Half Sovereigns in stock and available today. Worth: 10 Shillings & Sixpence / 2 Crowns & Sixpence. Guineas and Sovereigns / Pounds were not too different in value, but the Guinea was worth fractionally more. what is now modern day Ghana and Togo. A Half Guinea was worth 10 Shillings and sixpence. Click here to see more Half Guinea coins. Worth: 20 to 22 Shillings. 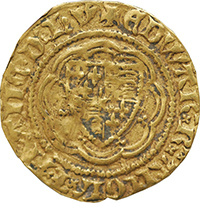 The Unite gold coin was the second oldest Pound coin, following on from the old English Sovereign. 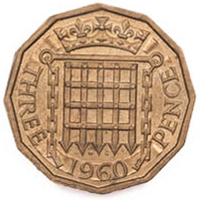 It was later replaced by the Laurel, which was the third Pound coin in Britain. rising price of gold in Europe. The price reset back to 20 Shillings in time for the Laurel's mintage. Click to see our selection of gold Unite pound coins. 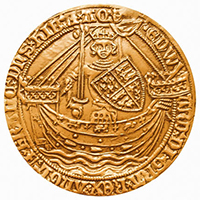 a split usage between Sovereigns and Guineas, with this coin being primarily used on a day to day basis. 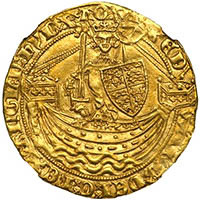 The English Gold Sovereign was first minted in 1544 during the Tudor period, though production ended in 1603.
in 1817 as part of the Great Recoinage. 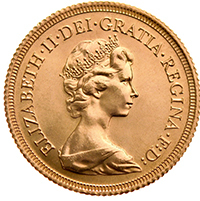 Gold Sovereign coins weigh 7.98g, have a purity of 22 carats, and are around 22.05mm in diameter. View gold Sovereign coins here. Worth: 21 Shillings or 1 Pound & 1 Shilling. they were both wealthy and generous, and both were ways of earning social status in Britain. Browse our gold Guinea collection. Worth: 42 Shillings or 2 Pounds & 2 Shillings. The Two Guinea coin was a rarer production than other circulated coins but not as rare as the Double Florin. 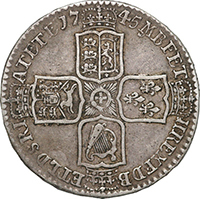 1753 as other coins became more useful and popular. but with the introduction of the Sovereign this increased to 21 and 42 respectively. Interested? Take a peek at our Two Guinea coin category. Don’t see your coin on here? Think we’ve missed a piece of history? Let us know! At BullionByPost we’re always updating our website to be as informative as possible. Call us on 0121 634 8060 or email us at [email protected] and we’ll be more than happy to tweak our content.